Jason Clagg is a labor and employment lawyer who also serves as vice chair of the firm's Higher Education group. Jason is personally dedicated to providing his clients with prompt attention and clear, definitive guidance. 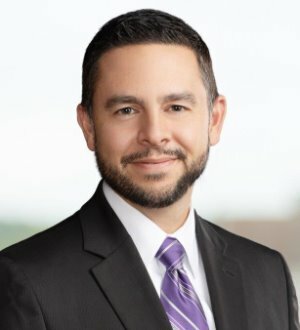 With a practice focused exclusively on management interests, Jason routinely represents employers in state and federal court, before administrative agencies such as the Department of Labor (DOL), the National Labor Relations Board (NLRB), and the Equal Employment Opportunity Commission (EEOC), and in labor arbitrations. Jason has effectively represented management in Fair Labor Standards Act (FLSA) wage and hour disputes, unfair labor practices under the National Labor Relations Act (NLRA), and claims of harassment, discrimination and wrongful discharge. Moreover, Jason helps employers draft, defend and contest non-compete agreements and address the misappropriation of trade secrets in numerous states. In addition to contested matters, he devotes much of his practice to daily client counseling, drafting employment agreements and training personnel on a variety of topics. Jason also practices in the specialized area of education law, with a focus on employment and student disability matters. He has represented both public and private schools, from the elementary to the collegiate level, in numerous courts and administrative settings, including before the Office of Civil Rights, the Department of Education and in due process hearings. Jason has experience with Section 504 of the Rehabilitation Act, the Individuals with Disabilities Education Act and Indiana’s Article 7. He regularly trains and advises schools on these laws as well. Jason is appreciated for his consistent ability to help clients through often stressful and potentially expensive personnel problems. Committed to exceeding expectations and to coming in at or under budget, Jason’s persistent, creative and persuasive defense strategies are grounded in practical, workable solutions. Indiana University - Purdue University Columbus, B.S.